I may have lost my voice, but I feel like I found a community worth belonging to. I struggled to tell my father about every single detail and event on the ride home from Line Camp. It was mainly because I was still recovering from losing my voice over all the chants and excitement packed into the four days I was at Baylor. 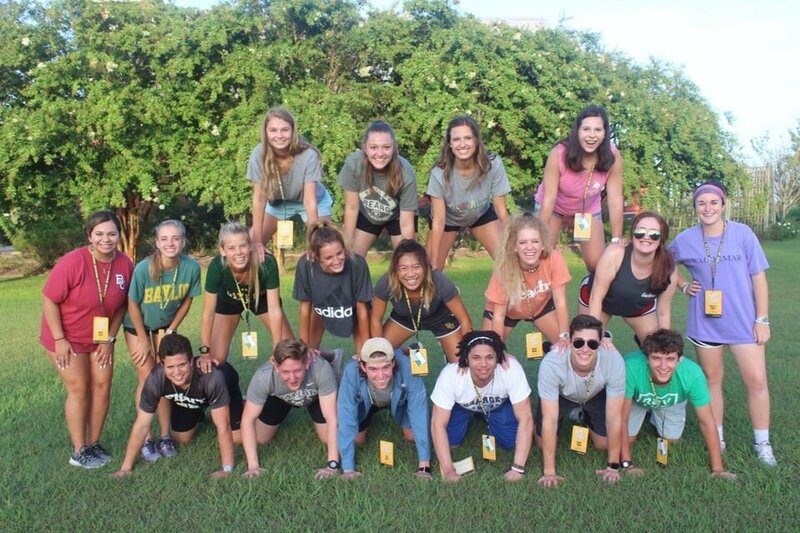 Line Camp: An extremely fun-filled type of extended orientation for incoming freshmen learning about the past of Baylor, your future bear-mates, and how amazing you can smell through all the vigorous activities that require movement! "Anything is as fun as you make it, you get out what you put in." If you truly put the effort in to interact with those around you and be all in for the activities, then you have an amazing experience in return. 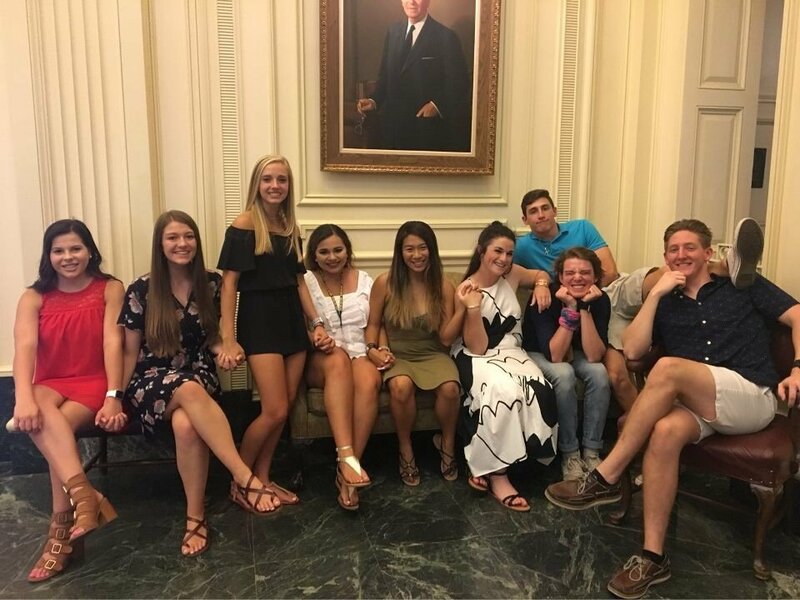 Everyone at Line Camp is there to become more familiarized with a college environment and make new friends in their new community, expecting to have fun without putting in any effort is definitely not how it rolls. Our cell phones were all strongly encouraged to be stored away on day one. You'd think you'd be so disconnected with the rest of the world without your phone for a whole week, but in reality, you become more connected with the people around you. Instead of watching people's Snapchat and Instagram stories, you're listening to the stories of other people's lives that help you paint a better picture of what shaped their character. Believe it or not, you learn more about a person through genuine interaction than through some pictures posted from a month ago. Behind every screen is a person with a story to tell, and through those four days, we learned about those people behind the screens. Every day, we had a "family time" session where we gather in our predetermined small groups with a camp leader. When our camp leader, Leslie, said at 11 p.m. that we would have story time, I definitely thought she was going to read us a children's book since we were at a "camp" and it was so late at night (and that would have been cute). Instead, she built up the courage to tell her life story to a group of strangers that had only known one another for a few hours. After she shared, there was a period of silence that was eventually filled with all of our stories that would only be kept between one another and those walls. From there, a deeper understanding of one another created this unique connection that was bridged between all of us. From reflecting over what we've learned through small lectures to playing fun games and giving one another new names, we really did become some kind of small family, in the end, growing closer to one another through each moment. We learned a lot about one another, not just if someone liked putting an "excess" amount of salt on our food or if we peeled fruits in "odd" ways, but more as individuals. From fountain hopping to creating an extremely fun, coordinated and professional dance routine, and from late night milk and cookies chants after "speed friending" sessions to having one amazing (first) college party experience (filled with sweaty bodies everywhere, coffee, and iced tea), each moment I spent with the people around me became more fun and meaningful by the moment. I realized through all of this that college is a lot more about trying to fit in. Despite our differences, we all shared a similar fear in not being able to find our groups, not being able to make connections, or being involved in the wrong groups, but there's something about being together and sharing our uncertainties, goals with our faith, and hardships that helps us understand one another better and know that we're not alone. 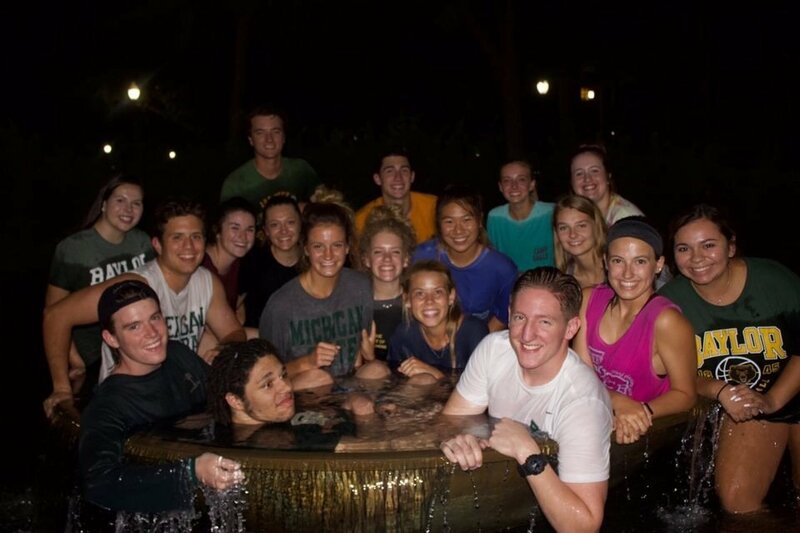 Everyone entering the Baylor community was so accepting and had so much to offer. Through our small lecture and reflection periods, we spoke about the power of perspective. We talked about how most people may view an argument with another person as a war to attack one another to win, rather than as a journey where both people can work together towards their final destination. We spoke about the power of our leadership, not just in terms of getting noticed or having all the wealth and status, but having friends to share our lives with and doing things based off of having our central inspiration. Once we make our purpose and inspiration known to others, we're more effectively able to create and more unified community and a larger amount of followers. 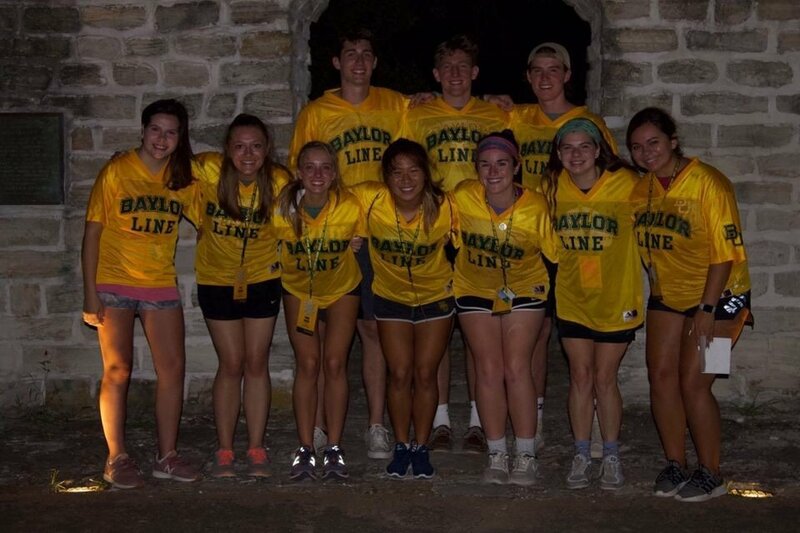 We spoke not only of our majors but about what we wanted our Baylor story to be. One of the days, we visited Independence, an area two hours away from campus to learn about the history of the old Baylor and its creation. We had fun sweating a whole lot, listening to alumni's talk about their stories, walking through a nice garden, and running into a snake and tarantula! But the most significant part of this journey was receiving our Line Jerseys. 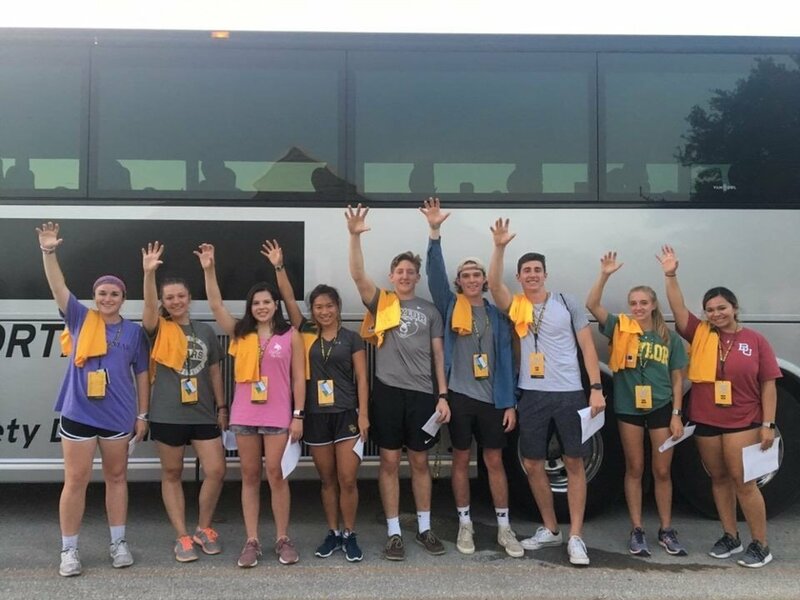 We pretty much all expected it to be handed to us to put on, but instead, we had a reflection period on the bus ride about how we wanted our Baylor stories to be. Once we arrived at our destination, we were given song lyrics and a moment for our camp leaders to pray over us before our ceremony. Everyone lined up and we all stood there to worship and we sang our hearts out. It was so evident how it touched so many people's hearts. I realized at that point that even though many people may be at different stages on their path down Christianity, no one ever judged someone else for not being in the same position as them. On the last day (we were so sleep deprived of pulling an all-nighter, roaming around campus playing sardines and other fun games, and sharing random delusional moments), Leslie gave us a cut up bandana that she wore on the first day when she met us. She told us to write one word to describe our experience within the past week. Without a single doubt or hesitation, the first word that came to mind was "Belonging." We may have different paths with our majors, but everyone shares the same type of goal of giving back to the world and truly discovering their purpose. Line Camp was not about boring PowerPoints and tour of campus. It was about familiarizing one another with the people you're going to school with and really reflecting on what our purpose would be. So yeah, I may have literally lost my voice, but it was worth finding a community I truly belonged in.